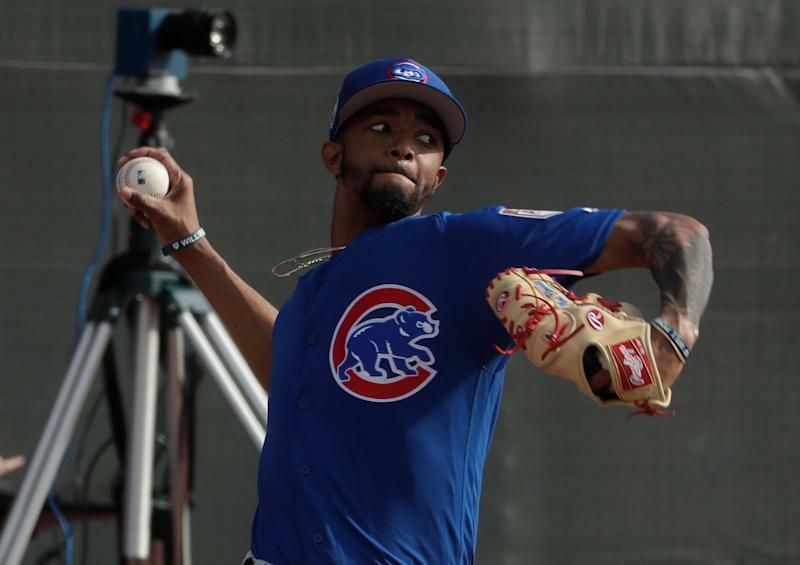 Chicago Cubs pitcher Carl Edwards Jr. has nothing to hide. The pitch that hit Seattle Mariners minor leaguer Austin Nola during Tuesday’s Cactus League game and led to his ejection? That was no accident. That was on purpose. Speaking to the media on Wednesday, Edwards made the admission that very few pitchers before him have been willing to make. The baseball never slipped out of his hand or missed his intended location. It was on target, because he felt he needed to send a message after teammates Kris Bryant and Willson Contreras were hit by pitches earlier in the same game. Because of the ejection, it’s safe to assume the league will be reviewing the incident. There was no confirmation of that, though, before Edwards spoke on Wednesday. Aside from Ubaldo Jimenez purposely plunking former teammate Troy Tulowitzki during a 2012 spring game, there’s no real precedent for this type of thing in spring training. Jimenez ended up getting a five-game suspension once the league determined the intent. Considering there were no other batters hit during Tuesday’s game or any escalation of tensions, the league may have been content slapping Edwards on the wrist and moving on without shedding any additional light on it. That will be tougher to do now. It’s possible that Edwards’ honesty will force the league’s hand and ultimately net him a fine or a suspension. On the plus side for Edwards, the league typically comes down toughest on players when a situation escalates into something more than “baseball policing.” That doesn’t apply here. On the down side, he admitted throwing at a batter. In a spring training game, no less. That’s not a good look for the player or the league, so a message might be sent. Time will tell, but honesty might not have been the best policy for Carl Edwards Jr.